Copper heat sink for Maglite LED build conversion. 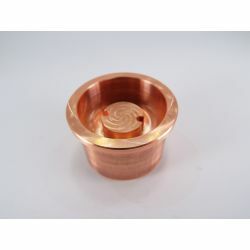 This sink is CNC Machined from copper which is a much better conductor of heat than aluminum, and also takes longer to saturate than other materials giving you a longer span of time to run your super lights before the point of over heating. (not included). For use with XHP-70 20mm boards that have been machined down to 16mm size are available. 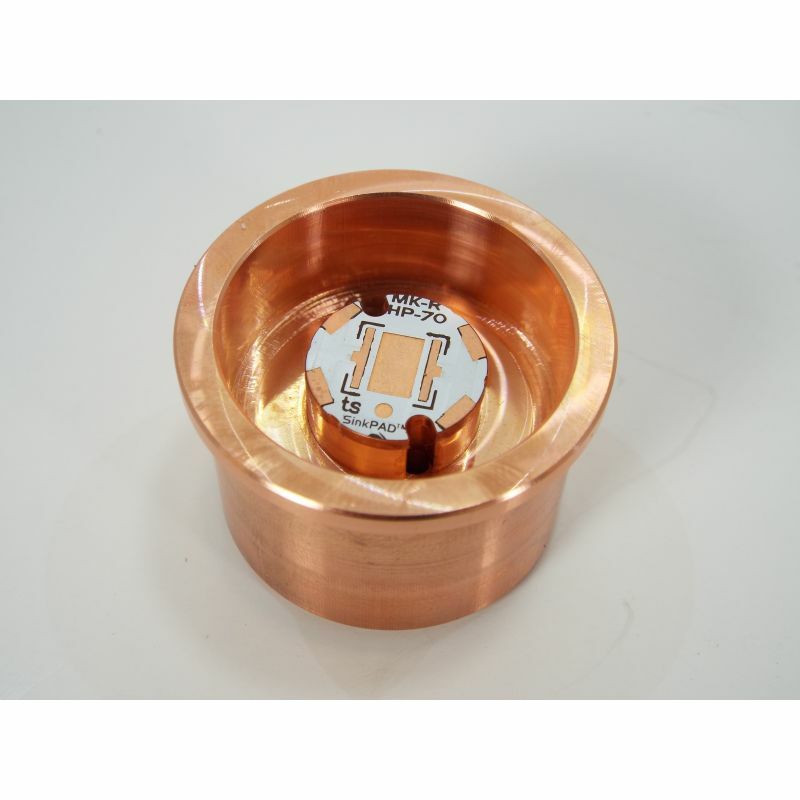 LEDs can be epoxied to the sink using 2 part thermal epoxy such as Arctic Alumina, or reflow soldered directly to the post if using a copper direct thermal path mcpcb. Reflowing is the preferred method if using a high powered emitter such as XHP50/70 or MTG2. This is a DIY (do it yourself) part. 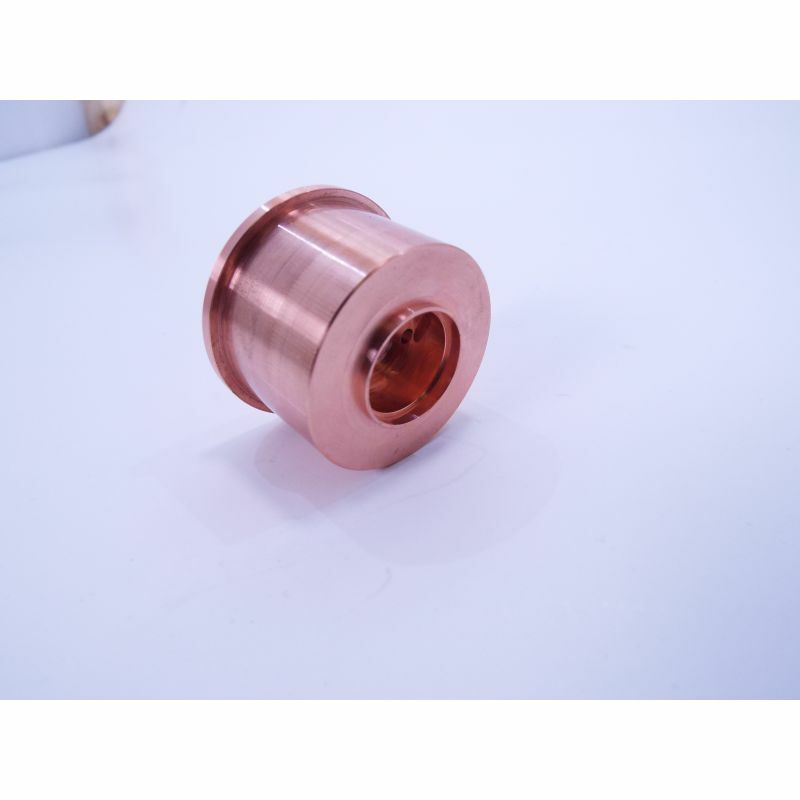 You must know what your are doing to use this part, including but not limited to electrical and thermal knowledge of LED emitters and soldering ability. If you need assistance videos on the subject are available on the youtube channel. More are also being added.